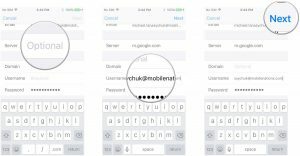 How can I set up G Suite with my iPhone or Android? https://www.comprompt.co.in/wp-content/uploads/2017/04/comprompt-logo.png 0 0 Web Technology Comprompt https://www.comprompt.co.in/wp-content/uploads/2017/04/comprompt-logo.png Web Technology Comprompt2017-02-11 15:43:472017-02-11 15:49:02How can I set up G Suite with my iPhone or Android? 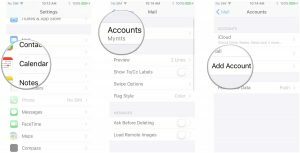 The Google Sync setup is nearly identical to Exchange: You just need to have a paid Google account and enter the following settings. 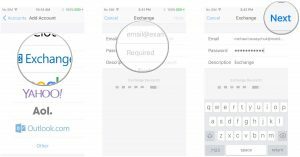 Enter your Gmail or Google Account email and password (the description field will automatically update as your email address). Enter m.google.com as the Server. Tap the switches next to each service’s account that you’d like to sync with your phone. 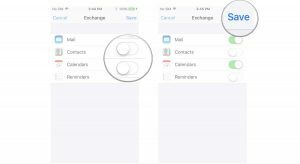 If you have existing calendars, contacts, or mail on your iPhone, you’ll be asked to either keep them on your phone or delete them. Tap the option you want. password : Enter your email password.